Aditi Rao Hydari's Black Saree Style is Beyond Stunning! 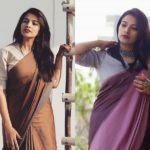 The last day at the Lotus Makeup India Fashion Week witnessed designers showing their versions of saree as saree is considered to be an icon of femininity, personality, and ethnicity. 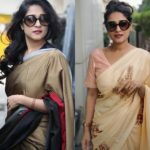 Bollywood celebs walked the ramp, wearing six yards of magnificence– the outfits crafted to pay tribute to saree. What is worth mentioning is their intense sprinkle of green fashion, sustainability, and environmental awareness. In a strikingly delightful tribute to the nine yards, the fashion week finished on a high note, with Aditi Rao Hydari as show stoppers. In true Indian style, the finale that rounded up the fashion spectacle was a combined effort by 21 top fashion designers. 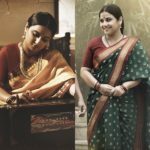 #SixYards was a tribute to the drapes and weft of the Indian weave that has evolved throughout the years. 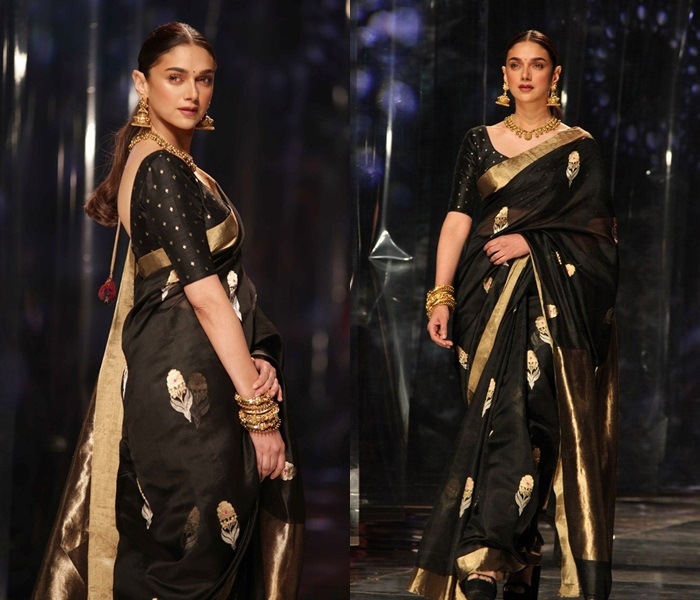 The show finished with Aditi Rao Hydari gliding down the runway, wearing her mom’s rich heritage saree in black and gold. Aditi rocked it to the core walking down the ramp on the finale of this gala event. 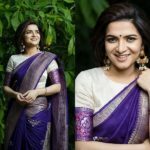 Wearing a six-yard pattu saree, this diva literally spellbound us. 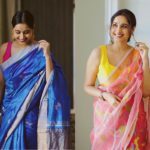 The saree was sheer magnificence and Aditi did complete justice to its beauty. We couldn’t take our eyes off her. This regal beauty accentuated her look with perfect makeup. The perfect maroon lip shade highlighted cheekbones along with dense eyebrows took her to look a notch higher. She opted for mid-parted hair look and left her eyes bare without any eyeliner or eyeshadow. Didn’t she look like a queen straight from heaven?